If you work with any type of data, then you know that rarely does it come perfectly in the format you need. Power Query (also called Get & Transform in Excel 2016) is the solution to this problem. Power Query is an amazing ETL tool (Extract, Transform, and Load). If you’re not using it then you’re missing out on the best new feature in Excel. For a more detailed look at what Power Query is and what you can do with it, check out this Introductory Guide to Power Query. Power Query can connect to many different types of data, but in this post we’ll take a look at importing data from an Excel workbook and doing some basic data cleansing transformations on some messy data. For this post, I’ve prepared some fake sales data (download This Week’s Garbage Data File.xlsx to follow along with the example). It’s presented in a typical fashion which is human readable, but not great for any type of further analysis. In this post, we’ll explore how we can use Power Query to get this data into a standard tabular format which will help facilitate any analysis done later on. There are a few problems with the data we want to import, and we’ll need to fix them before our data is ready to use. The data has been summarized by date, but the date pertaining to each set of sales only appears once as a heading. There are leading spaces in front of the sales person which will need to be removed. The name of the sales person and their employee ID number have been concatenated together. There are rows of spaces throughout the data that will need to be removed. Sales for the different regions have been pivoted across four different columns. We will want our sales in one column with an extra column defining the region. We have total rows for each of the sections of data that will need to be removed. The first step we need to take is to import our data. Go to the Data tab and press the Get Data command then choose From File and then From Workbook in the resulting menus. A file picker menu will appear and we can then navigate to the Excel file we want to import. Once we’ve picked the file to import, we will be presented with the Navigator window. This will allow us to select the Sales sheet from our workbook which contains the data we want to import. A preview of the data can be seen on the right hand side when selecting sheets. If our workbook had more than one sheet of data which we wanted to import, we can select multiple sheets using the Select multiple items check box. This would create a separate query for each of the sheets selected and save going through the first couple steps individually. Now we can either choose to Load the data or Edit it. If we choose to load it, then it will load into an Excel Table with no transformations applied. We want to edit it, this is where we’ll be able to apply our data cleaning transformations. Note: In some builds of Excel, the Edit button is labeled Transform Data. Press the Edit button and this will open up the Power Query editor. We are now inside the Power Query editor and we can begin building our data transformation to get our data into proper tabular format. Any transformations you apply to the data will appear as a step in the Applied Steps area. We can step forward and backward through the query by clicking on any of the steps listed in this area. On the left side of each step is an X that can be used to delete a step and on the right there is a settings icon which can be used to edit the step. The first thing we’ll do in our transformation is get the date associated with each section into its own column. Notice that each of these date headings in our data is separated with a colon. Since no other data in this column apart from the dates have a colon, we can use it as a delimiter to split out the data. To split this data out, right click on the column heading then select Split Column and then choose By Delimiter. Select Colon from the list of delimiters and press the Ok button. Now we have a new column with dates followed by a series of null values until the next date. Right click on the new column and select Fill then choose Down. This will fill the dates down the column replacing the null values with the date from above. In the next step we’re going to split out the sales persons name and their employee number. The name and employee number are always separated by an opening parenthesis so we’ll use that as the delimiter to split the column. This assumes that an opening parenthesis will only ever appear in our first column when it is separating the employee number. Now we right click on the first column and select Split Column then choose By Delimiter. This time we need to use a Custom delimiter since the opening parenthesis is not a standard option. Add in the “(” and press the OK button. Notice that our new column with the employee number still has the closing parenthesis. We’ll need to clean this up. We can right click on the column and select Replace Values from the menu. Then we can replace the “)” character with nothing. This will remove it from our data. Now we can remove the useless leading spaces that were used for indentation in the presentation of the data. We just need to right click on the column and select Transform and then Trim. This will remove any leading or trailing space characters from our data. We’re now ready to remove the unnecessary rows in our data including the total rows and blank rows from our original data file. We also have some rows that are now useless as we’ve already extracted the useful data from them. We can remove all of these rows in the one step. In fact, we’ll be able to do this by filtering on the first column. Click on the filter icon on the right side of the column heading and then deselect the useless rows (null, Sales for, Sales Person, and Total). You might be asking why we filtered out the row containing Sales Person. Doesn’t that row contain useful column heading information? Couldn’t we use that and promote it to the column headings? Yes it does, but we can’t use it to promote to column headers because one of the values in that row is the date from the first step in our transformation. That value will likely change if we’re importing a different set of data with this query. If we were to promote it to a column heading then we’d have a column heading with the label “2018-01-01”. Any further step that references this column, would be referencing this value which won’t exist. This is were our query would break. Instead we’ll remove this row and rename our current generic column headings to avoid this problem. Now we can rename all our columns to their appropriate names. Double click on the current column name to rename a column. We’ll name these Sales Person, Employee ID, Date, North, East, South and West going from left to right. Now we have an almost tabular set of data. The only thing that remains is to unpivot our four region columns. All the values in these columns represent the same metric of sales and should be in one column with another column that tells us what region the sales amount was from. Select the North, East, South and West columns by holding Ctrl and clicking on each heading. You can also select the first (North) column then hold Shift and select the last column (West). Now right click on any of the column headings and select Unpivot Columns. This will result in two columns called Attribute and Value. We can rename these to Region and Sales respectively. Now our data is just about ready. At the end of any data transformation, it’s good practice to change the data types of columns to the appropriate type. For the most part our data has the right data types, but our Sales column can be changed to a currency type. Click on the data type icon on the left side of the column heading and select the Currency type from the menu. Now that our data transformation is complete, we are going to need to save our query. Go to the Home tab in the query editor and press the Close & Load button. Just remember, you’re still going to need to save the workbook when you’re done in the query editor. Clicking on the top part of the close and load button will load the data into a new sheet in an Excel table. You can also click on the lower part of the button and select Close & Load To to open the Import Data dialog for more loading options like loading the data directly into a pivot table or into the data model. For now, we’ll just load the data into a table. Now we’ve got our data in a ready to use tabular format! We can use this query again to transform that data. Go to the Data tab and press the Queries & Connections button. Then right click on the query and choose Edit. Now we can navigate to the Source step in the Applied Steps area. Replace the source location in the formula bar with the path and file name of the new data and press the Enter button to confirm the changes. Then we can close and load the query. Our data will update based on the new file! Note, this will overwrite the previous data, so if we want to retain the old transformed data we’re going to need to create a copy of the workbook before performing these updating steps. Everything we did in this transformation was using the basic point and click interface in the Power Query editor. Once you get the hang of it, making queries to shape your data into the format you want becomes super easy. No workbook formulas, no difficult VBA and no copying and pasting required. The best part is, if we need to repeat this transformation with another similar data set, then we can update the file path in the query and press the refresh data button and our new data will be transformed and loaded into Excel. Our messy data problem has become a simple refresh. This is why Power Query is the best new feature in Excel that you need to start using. 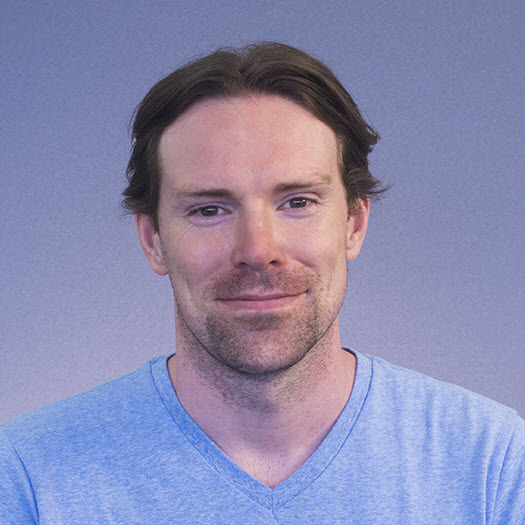 John MacDougall is a Microsoft MVP and former actuary who currently works on data analysis and debugging code at an ad tech company. He shares his knowledge and passion for Excel and Power BI through his website How To Excel. Posted: Tuesday, June 19th, 2018 under Data Techniques. Tags: Guest Post, Power Query. Edouard Buning is a Dutch marketing and communications consultant who has recently started up a Dutch blog in the spirit of Chart Busters. Edouard has provided this article for my Peltier Tech Blog readers. In Bloomberg Business Week of March 8, 2010 a graph on page 17 representing a breakdown by sector of net income in 2008 and 2009 of S&P 500 companies drew my attention. At first the paired waterfall chart seemed organized, but on second thought I realized that it was in fact confusing and could tell us some more than the conclusions drawn by Business Week. Business Week’s conclusion that financials and consumer discretionary rebounded in 2009 after the severe losses in 2008 is difficult to see in the graph although the red bars in 2008 are clearly the first thing that you see, followed by the increase in total net income from $288B in 2008 to $512B in 2009. A short look at these data shows us that there are more interesting conclusions that can be drawn, but first we’ll take a look at the chart to see how we can improve it. The problem with the published chart is that, in trying to show the addition of a sector to the net income, they placed the addition on top of the net income of the preceding sectors. As long as the addition is positive there is no interpretation problem, but in the case of the sectors financials and consumer discretionary the addition is negative. Although the addition is shown in red, it looks weird. How lucky we are they did not use a pie chart! It is clear that financials and consumer discretionary rebounded from a combined loss in 2008 of $147 to a combined profit of $106 in 2009. But on the other hand, industrials (- $23) and energy (-$68) realized a lower net income in 2009. This is in line with the conclusion at the top of the article on page17, “But some, including Exxon Mobile, actually posted lower fourth-quarter profits than a year earlier.” In another graph (not shown in this post) we see that fourth-quarter earnings per share for Exxon Mobile dropped from $1.58 to $1.33 and for Chevron dropped from $2.58 to $ 1.58 from 2008 Q4 to 2009 Q4. Telecom and utilities realized almost the same net income in both years. The other sectors materials, consumer staples, technology, and health care increased their net income in 2009. Edouard Buning is the founder of BuningAdvies, a consulting company in the Netherlands that focuses on how to use market research results in marketing and communication actions. After a 20+ year career in market research and presenting the results of market research studies to his clients he realized that on the one hand client companies were always eager to know all ins and outs of the study, but on the other hand it often happened that the same client company did not use the recommendations nor took any actions based on the study. In many instances this was due to a lack of time, capacity, knowledge, or priority for the follow-up. BuningAdvies offers this follow-up service. Edouard has recently started a blog on the story behind a chart, Grafiekadvies. This is the first blog in the Netherlands about charting. Posted: Tuesday, April 13th, 2010 under Chart Busters. My colleague and fellow Excel MVP Mike Alexander of DataPig Technologies has sent me another article, so instead of the blog being silent while I take today off, it will be graced with more of Mike’s wisdom. Last November, Mike shared with us his Ten Chart Design Principles. Mike and I have taught advanced Excel classes together, and next month we will host the Second Annual Excel Dashboard Boot Camp. This will be a three-day extravaganza that will take you through the mechanisms of Excel data analysis and charting for purposes of creating effective dashboard-style visualizations. Mike has written , which is among the most comprehensive Dummies books I’ve come across. The book is geared towards Excel 2007, but its principles and techniques are valid for any version of Excel. Mike takes his readers through dashboard principles, data preparation and chart creation, advanced data techniques including pivot tables and dynamic ranges, automation of dashboards using VBA, and designing interactive dashboards. Often times, a few basic labeling tricks can enhance your chart labels and help bring out an extra layer of analysis. Here are a few of my favorite ways to enhance my chart labels. Did you know you can apply a conditional format to your chart labels based on their values? Using custom number-formatting, you can repurpose the Excel’s number formatting to apply your own conditions. For example, if you highlight a range of cells and go to the number format dialog box, you can click on Custom in the ‘Category’ list Then you can enter in something like [Red][<=200]#,##0;[Blue][>200]#,##0. This will color any number <= 200 Red, and any number >200 Blue. Charting this range will give you colored chart labels! You can’t do this with conditional formatting. Jon explains these number format techniques in detail in Number Formats in Microsoft Excel. Have you ever created a pivot chart and got results like this? How did I get the Data Table to show only the values for % Labor cost and not People Count? The answer: I didn’t use the Data Table option. I used Excel’s Alt+Enter trick. If you’re in a cell and you hold down Alt while you hit enter, Excel will place a carriage return character into the cell, forcing your values to show on two lines. You can take advantage of this behavior in your data labels. As you can see, the source for the Primary X-Axis label is a combination of the Month name and % Labor Cost (separated by a carriage return). Here is a sample of the formula used to get this setup. After you enter this formula, click in the space between the quotes and hit Alt+Enter. This will trigger the carriage return. Note the use of the TEXT function. This is necessary so that the number formatting (in this case, percentages) is retained after you apply the carriage return. See this link for more info on that: http://www.techonthenet.com/excel/formulas/text.php. Again, this is just a formula trick that concatenates all the values I want to see in my X-Axis label. Posted: Tuesday, April 28th, 2009 under Formatting. Tags: Axis Formatting, Guest Post, Mike Alexander.